Wow! These are super cool! Very useful! 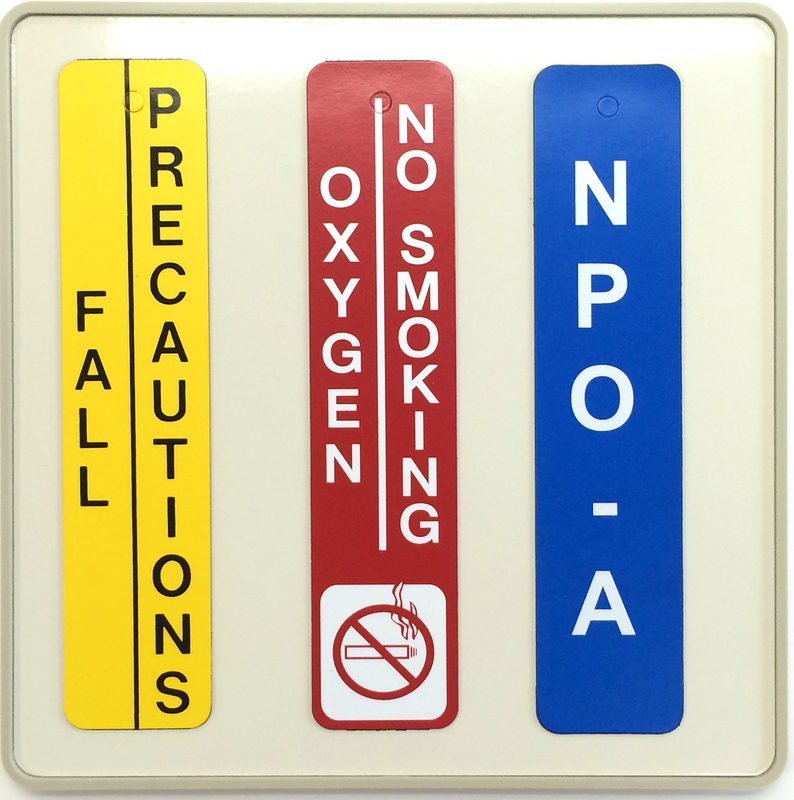 We use NPO, Fall Precautions, and no BP from _ arm everyday; it is just one helpful and simple tool that makes our job easier. To indicate if a patient is on Fall Precautions which has helped us to decrease our patient falls. To indicate if a patient is NPO (nothing to eat or drink) so the other hospital staff and family do not allow a patient to have any food or water accidentally. For our pediatric patients to indicate what color on the Braselow tape the staff would use in the event of an emergency which saves time that might be wasted by measuring the height of the patient at the time of the emergency. To indicate that a test is being performed in the patient’s room we place a Test In Place magnet so others will not disturb the patient/staff. We have been using Medimag signs for our critical care patients since 2001. 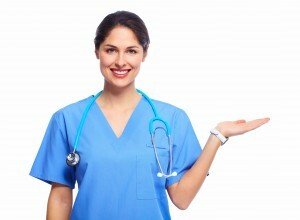 They provide a professional uniform look around our hospital. The company provides a wide variety of signs for most messages we need to provide for our staff. I work at the Sky Lakes Medical Center in Klamoth Falls Oregon. We started using Medimags in our Hospital about a year ago. These signs provide simple communication for all the staff running in and through our patient’s rooms. 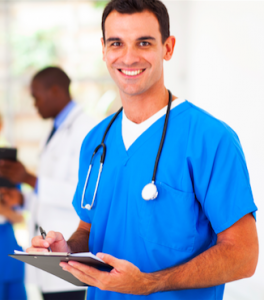 They are colorful and bold and have really improved our patient care and helped reduce mistakes. I would recommend these signs to any medical care facility. Medimags were a great discovery for our hospital. They are much better looking than the paper signs we used to have taped up all over our patient’s rooms. 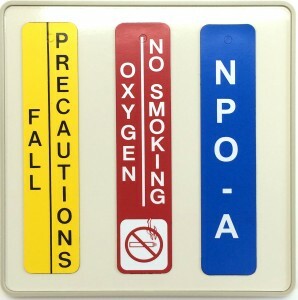 Our hospital first starting using the Oxygen In Use signs for our patient’s rooms. Through the years we have added 8 to 10 signs to our communication protocol. They are the perfect size to hang on the door frames outside our patient’s rooms. I also like the fact that they are reusable.